Maamigili island, South Ari Atoll is located at the heart of Maldives whale shark point known as the "Maldives Whale Shark Home". Maamigili whale shark point is the one and only place where this beautiful friendly wild life can be found, Maamigili whale shark point is renown as the second best spot in Asia to snorkel and dive with this amazing big fish. Lots of tourist who visit Maldives for diving and snorkeling choose to stay in South Ari Atoll for this one reason. The most convenient way to reach Maamigili from Male’ is Domestic Carrier FLYME. Usually there are five to six flights daily and the schedule varies. Recommended to book in advance. 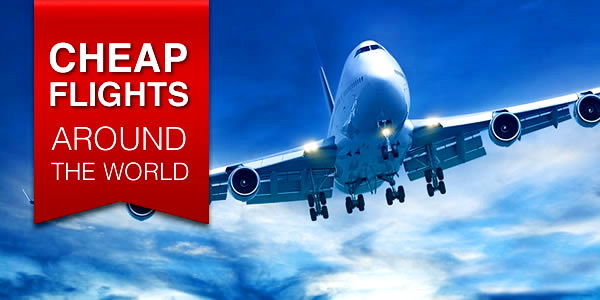 The domestic flight are bookable directly by guest via Flyme website on FIT rate or our hotel staffs would be more then happy to assist the guest in making the domestic flight reservation under our special contracted rate. Please let your's hotel staff know and they will be book on your behalf. Payment can be settled up on Check In. Fare Varies for Locals & Work Permit Holders. The flight also operates during night time to cater the evening arrivals. The prices for the domestic flight are as below; Flying time is 25 minutes. There is an ATM on the island. There are many two types of speedboat transfer in Maldives, it is private speedboat transfer which is available anytime of day or night and schedule public speedboat transfer which only available on specific date and time. The speedboat transfer from Male' to Maamigili Island normally takes 90 minutes and run daily except Friday. For speedboat reservations, please contact your hotel for further details. 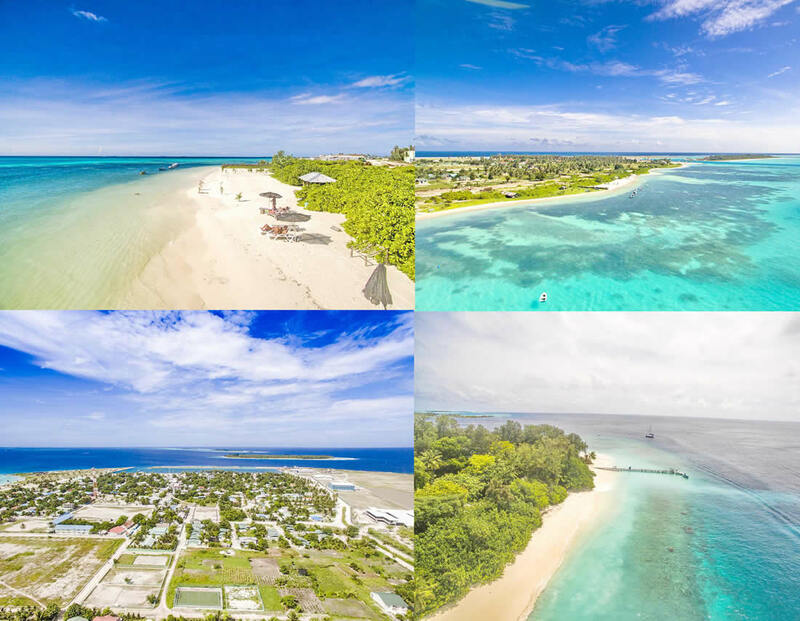 With a population of more than 2300 souls, Maamigili is the largest and most populous island of Alif Dhaal Atoll which border the South Ari Marine Protected Area (MPA). As well as boasting Ari Atoll's only airport, Maamigili is a busy fishing island with two harbours. Villa International Airport Maamigili opened on October 1, 2011 as a domestic airport. In 2013, it was upgraded to international airport standards. Major economic activities of the residents include fishing, handicraft, tourism related works, construction, boat building and carpentry. Unlike all other islands in this Atoll, it is naturally round in shape, owing to its position on one of the edge and widest channels in the Marine Protection Area. 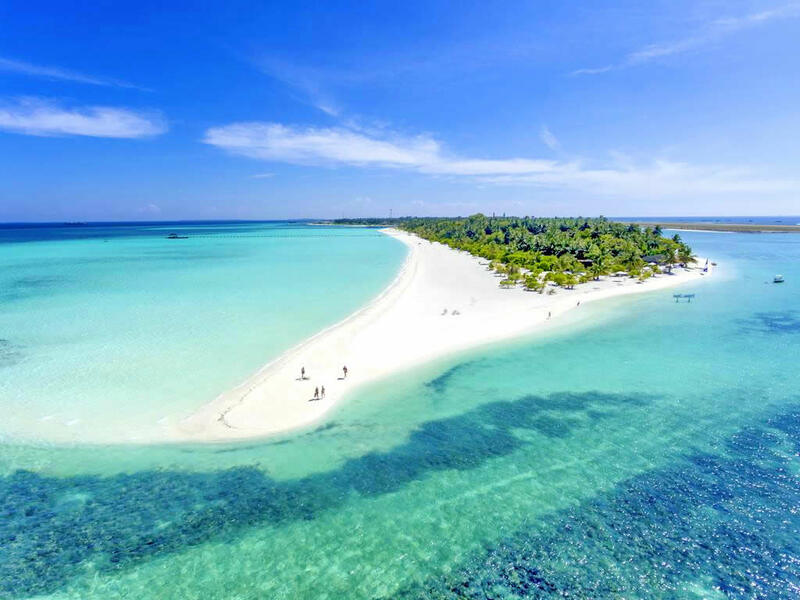 The island itself is a local island in development and at the first sight not what you’d expect from Maldives, but it provides a great staring point for daily excursions which the local people are happy to organize for you. The fishing village is in the island's eastern half. From the deep-water harbor leads to the main street that stretches east to west directly through the heart of the island. In the beginning, you will find various shops here, while tourist souvenir shops dominate the eastern end of the street. At the western end of the street there is a beautiful mosque, a medical center, a school and a municipal office. Maamigili's residents are known for their cordiality and hospitality as a rule. The Local Tourism Act of 2009, the government of the Maldives, prohibits the sale and consumption of alcohol in hotels and guest houses built on local islands. As a rule, hot drinks are served at the resorts nearby, and Whaleshark Maamigili offers a wide selection of resort excursions for all budgets. 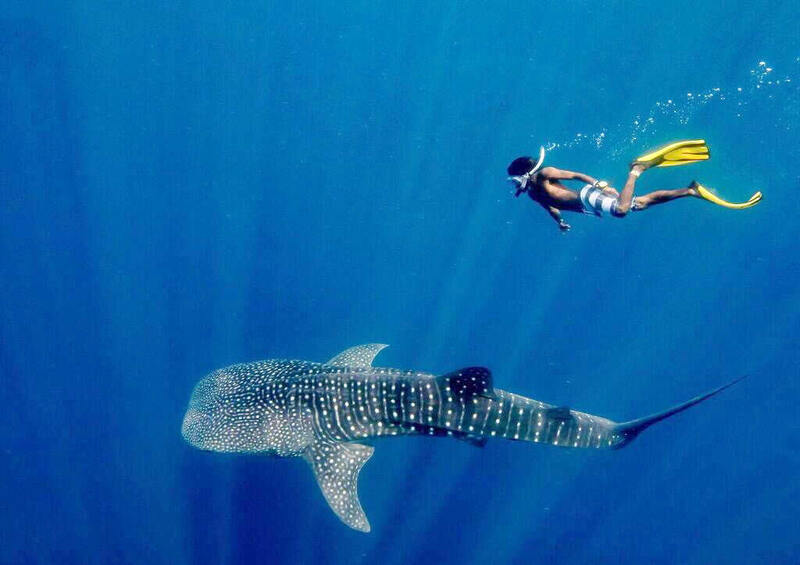 Maamigili is located at the most famous area for Whale Shark explorations. The island is just 20 minutes away by boat to these famous adventure. Whale sharks is the biggest fish of the ocean and the south of Ari Atoll is a great place to dive and snorkel with this breathtaking creatures. Whale sharks in Maldives can be spotted all year around. South Ari Atoll, Maamigili whale shark point is a marine protected area. However, searching for whale sharks and any other such creatures depends a bit on luck too. According to marine statistics whale shark season in Maldives is mostly during December to May around 3 to 5 hours before high tide. At Maamigili you can expect the best whale shark snorkeling trips in Maldives with a success rate of 75% all year round. The beaches of Maamigili are not so magnificent that post them in Instagram but they are here. There are 5 or 6 loungers and a sun shelter that would hold 4 and a couple of umbrellas with fabric that allows mottled sun to filter through. The bikini beach on the Maamigili island itself is pretty nice as well, but with so many things to do, I warmly recommend you spend your days exploring. In addition to whale shark and manta rays snorkeling trips ( US$65/person ), other activities include exursoins to picnic islands near by (US$75/person), sandbank trip (US$45/person), dolphin watching (US$35 per person), turtle snorkeling (US$50/person), sunset fishing with BBQ dinner (US$55/person), reef exploring (US$50/person), island hopping and much more. Picnic island is located a 10 minute boat ride away has the most beautiful secluded beach with a reef that you can spend hours exploring. For those who want the pampering and comfort of a resort, Holiday Island resort is literally one minute away with a boat and Sun Island is 15 minutes away with a speedboat. Entry is free after 6 pm, but for Sun island, you still have to pay for transportation to get there. Daily pass to Holiday island is 25 dollars, but if you get a massage, you don’t need to pay the entry. After 6pm you can enjoy the shark feeding, have some drinks and enjoy the night entertainment. 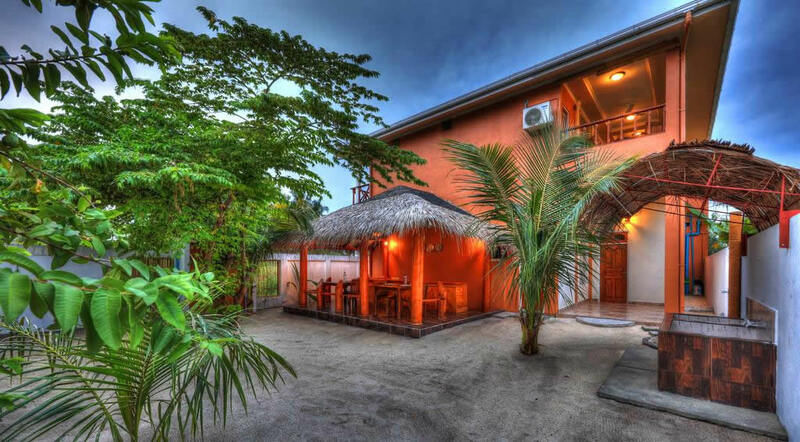 Shamar Guesthouse & Dive is the only divebase on Maamigili and situated right at the Indian Ocean. The divecenter (PADI® Certified) provides fun diving to the most beautiful sites in the South Ari Atoll and dive cources from OWD to divemaster. Dive with the whalesharks after a 10 min. boat ride. Manta rays are only 30 min. far away by boat. Snorkeling gear rental: Fins + Mask + Snorkel for $9/day. Food is definitely a highlight of any trip to the Maldives, and Maamigili offers an excellent selection of good value restaurants. You can find affordable eateries of both maldivian and international cuisines all across the island. The restaurants in guest houses offer quality, tasty and interestingly attractive dishes which are freshly prepared by our very well trained and talented chefs. You may choose your food from a local fare to international dishes, all available just to your taste. Breakfast at hotels is a choice of Maldivian (mashuni, roshi, omelette & toast) or Continental. There are three local restaurants on the island. Of the local restaurants worth mentioning Green Park Cafe near State Bank of India. The chef is an Indian- Vidhu Kumar- who is married locally. The man turns out genuine Indian delicacies - north and south Indian, and also Maldivian food. All ingredients are fresh and made to order so you know you will get the best quality no matter what you order. All dishes made with love, and they have delicious and creative additions. Today (September 2018) there are 6 guest houses on the islland. All Maamigili's hotels are designed to modern travellders and the rooms are in warm colors and are equipped with quality furnishing and equipment with a mixed blend of Maldivian style to facilitate home comfort for those who seek budget accommodation in Maldives. The guest to determine the degree of privacy and the amount of natural light entering in the room. All rooms are equipped with en-suit facility shower with complimentary bottled water, free wireless internet service, in-room coffee maker and many more. At the Shamar Guesthouse & Dive you stay between beautiful green gardens without direct neighbors and a very nice ocean view from windows. 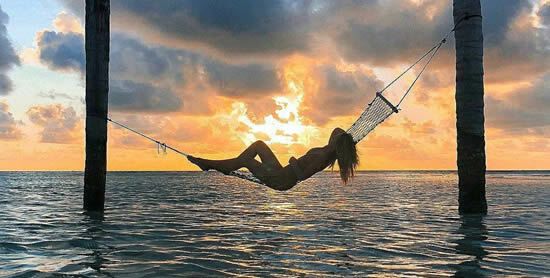 Just realx, because the only thing you can hear is the ocean and the nature.